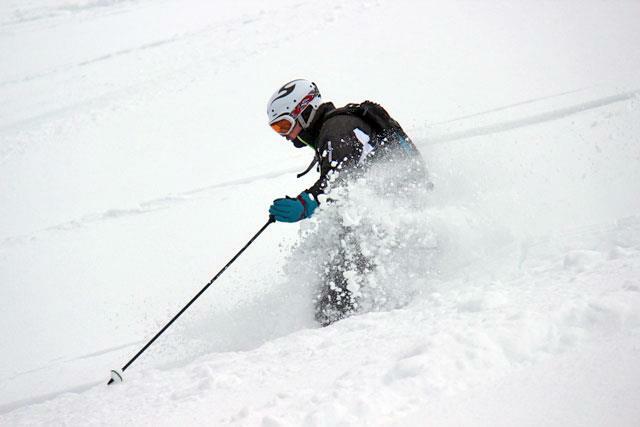 The J2Ski Team are just a bunch of skiers, and we mostly ski Europe (we have been known to snowboard too - but not well!). We work long days between flights to the Alps... so we're probably quite like you? 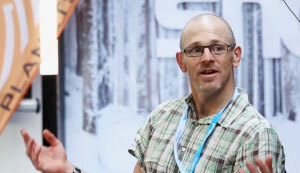 Patrick is one of the world's leading winter sports writers, and J2ski are proud to have him on board. Perhaps the only person on earth to make a 30 year career out of writing about snow, skiing all-year-round and not doing a lot else. He's skied more than 250 resorts, and written a dozen books (including international best-seller Powder and a book about snow on other planets). As long as he's in the mountains, he's happy! David used to live and work in the French Alps, and he's been going downhill ever since. He spent too much time building large-scale IT systems, while struggling to plan his next ski trip, so he built J2Ski to help. Claims that the best ski resort is the one you're in... but will never tire of La Clusaz. If you want someone who knows Ski, and who knows Social Media, then Iain's your man. 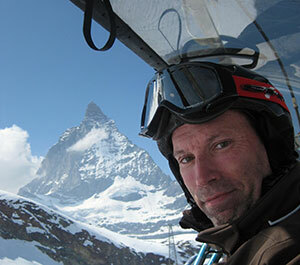 He's an award-winning journalist and digital marketer who has been working in the snowsports industry since 1988. His favourite resorts are Zermatt (in winter) and Chamonix (in summer). When he's not skiing, he loves trail running.